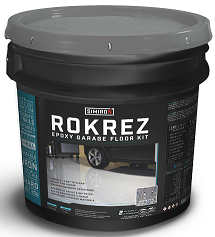 Simiron - Rokrez Pro Industrial Floor Coating - Professional Epoxy Flooring Systems - Duval Paint & Decorating, Inc.
ROKREZPRO is a uniquely formulated two-component, 100% solids, high-build epoxy that provides heavy-duty protection for industrial floors. 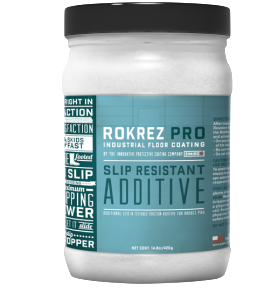 ROKREZPRO's extended working time makes the product easy-to-use and enhances adhesion by allowing maximum surface penetration. SIMIRON Metallic Additive. 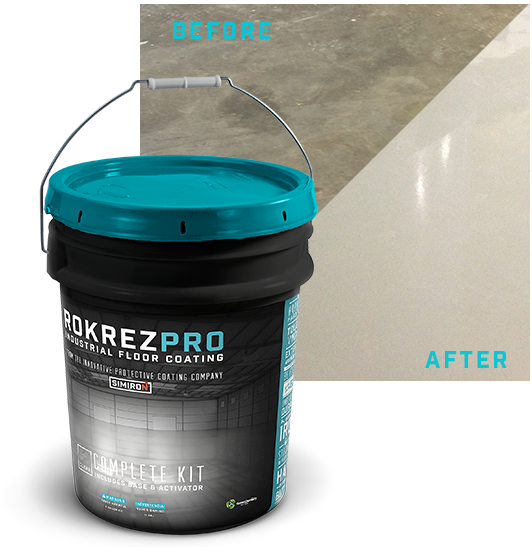 Metallic Additive is an exotic pigment system that can be added to ROKREZ PRO & 1100SL 100% solids, clear epoxy. 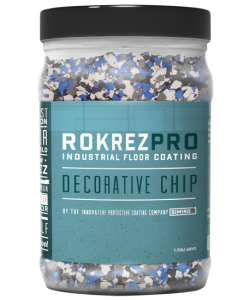 When dispersed within the coating, the pigment creates a beautiful three-dimensional appearance that gives the illusion of waves, swirls and ripples.